Tesco in Madeley. 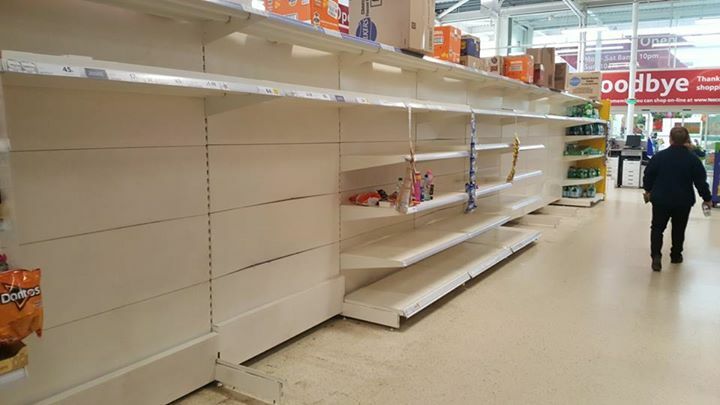 Shoppers were greeted with empty shelves where once the water was stocked. A burst water main meant that many residents in South Telford woke up to no water this morning and supplies are still not back to normal for many. One resident commented he was forced to buy wine after seeing that there was no water to buy. Pic: Tesco Madeley by Mr M Richardson Esq. Good god! Thats ridiculous! Anybody would think its going to be off for days!!! Plenty of water in priorslee coop, delivery just arrived! Paul Holser have you lost your water too ? ?